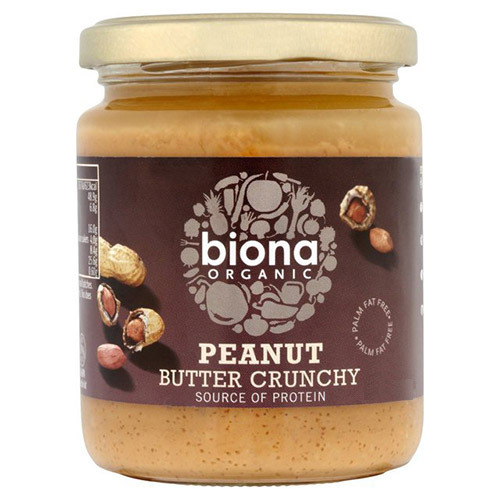 Biona`s crunchy peanut butter is made using carefully selected peanuts, which are freshly roasted in small batches just before milling. Enjoy this peanut butter as a bread spread, to add flavour to vegetable dishes or to make a spicy peanut sauce. As Biona do not use additives such as palm fat or emulsifiers, the nut oil may separate. This does not affect the quality. Simply mix back in to restore the creamy consistency. 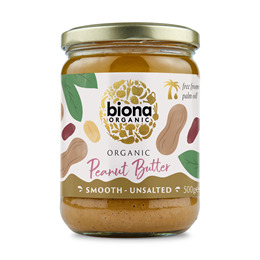 Enjoy this peanut butter as a bread spread, to add flavour to vegetable dishes or to make a spicy peanut sauce. May contain traces of various nuts & seeds. Below are reviews of Biona Organic Peanut Butter - Crunchy - 500g by bodykind customers. If you have tried this product we'd love to hear what you think so please leave a review.